This is a wonderful tradition in our parish - it's our 19th year offering this program! 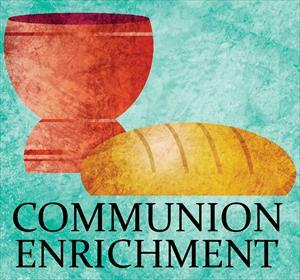 Any child in 2nd grade or older is invited to participate in our Communion Enrichment program with a parent. Children and parents participate in a four-week class during Lent to seek to deepen awareness of God as the one who seeks us out and eagerly extends grace to us, particularly in the Eucharist. Classes will be held on four Sundays, March 3, 10, 17, and 24. Children and parents will meet separately from 9:00-9:45 am (parents will not meet on March 24). The program will be run by lay leaders and clergy. On Saturday March 30, from 9:00-1:30, children attend an on-site Children's Retreat, and parents join them for a Family Luncheon. The program culminates with the celebration of Holy Eucharist on Communion Enrichment Sunday on March 31 at the 10:00 am service, when children and families will worship and partake in communion together. Please contact the Rev. Jen Vath to enroll your child or for any questions.